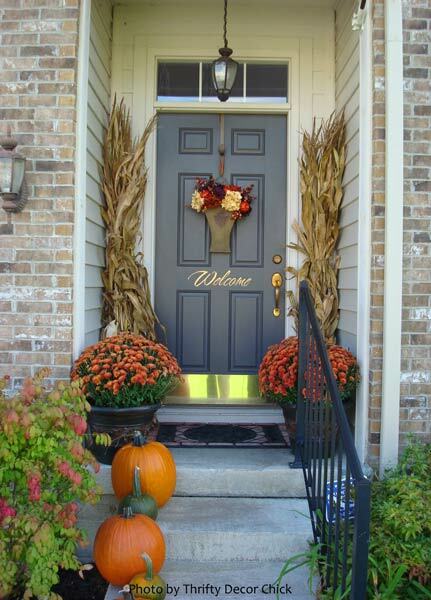 Sarah, author of the popular blog Thrifty Decor Chick, incorporates pumpkin decorating into her overall autumn decorating scheme on her front porch! She shows us how to make even a small porch reflect the colors and appeal of autumn days. So how does she do it? Sarah starts with a simple collection of white and mini pumpkins along with 49 cent Ball jars (filled with sand and votive candles). You can easily use a bunch of pumpkins or autumn gourds, and jars like this on almost any size table or place them on the steps leading to your porch. 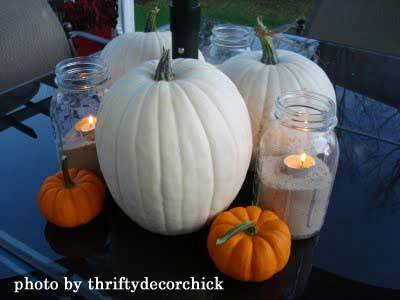 Pumpkin projects are easy and fun to do. 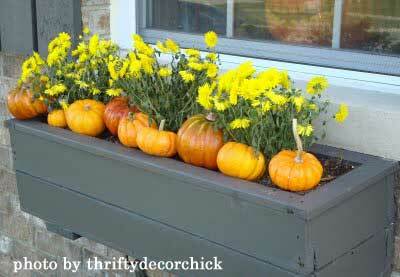 For Sarah's window boxes, she added pumpkins to warm the look and make them festive. She mixed "faux" pumpkins in among some real pumpkins to extend the season. Sarah writes: "The little ones last forever and always get me well into the Christmas season. (That would be 12:01 a.m., November 27th, in case you didn't know.)" Pumpkin decorating is so in tune with autumn. Sarah: "Our front porch is TEENY. I mean, teeny tiny itty bitty eetsy weensy. 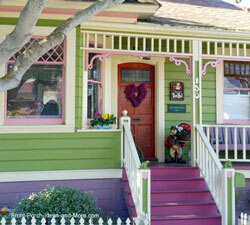 I dream of a gorgeous expanse of porch, but just because it's small doesn't mean it can't be beautiful. 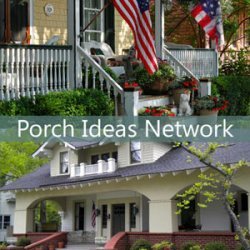 Stalks, mums and pumpkins, and your front porch will be the talk of the neighborhood (in a good way), even if it's teeny! Sigh. I love driving up to our house and seeing this..."
Sarah continues: "Although it appears only a size two woman can walk through the middle, there really is plenty of room. And on Halloween night, I move the planters and pumpkins so those precious goblins and ghouls can actually get up to our door, costumes and all." 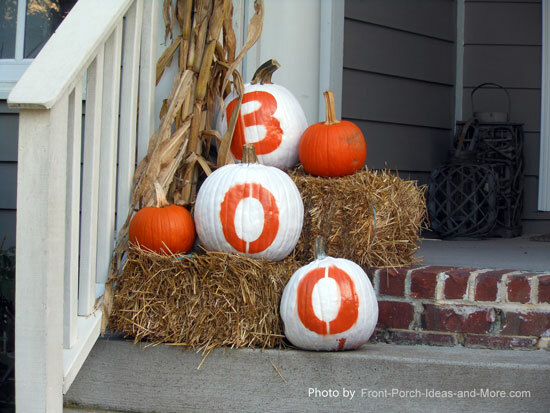 What a great Halloween front porch idea! Mums and Cornstalks Together - So Pretty! 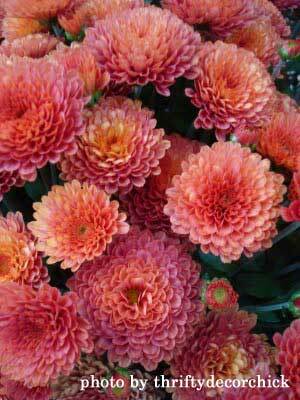 Mums provide inspirational fall color for any porch. Choose colors, like Sarah did, that really complement your overall look. 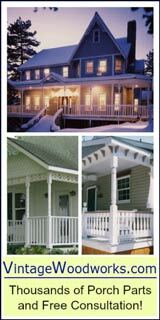 There are so many gorgeous colors to choose from that you shouldn't have any problems finding just the right colors for your porch decor. 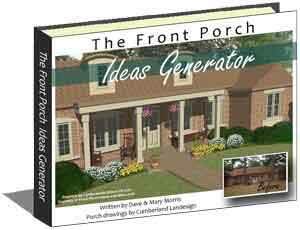 "For the front porch", Sarah states, "I have found a set up that works every year and I think I'm gonna stick to it." 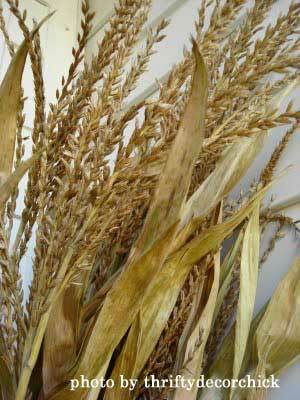 First, she places corn stalks for $5.99 each (you can find at most nurseries right now) in opposite corners on her porch. Next, her front door floral container, which she shows you how to make! 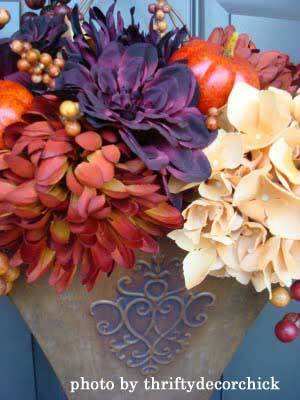 We love this ideas of Sarah's because we have a floral container just like the one she shows here. Never gave a thought to painting it, but wow, that's a great idea. You've got to love the new flag, pumpkin decorations and autumn splash on Sarah's porch. Wow, that's fab. Please visit Thrifty Decor Chick for more of Sarah's sweet ideas. 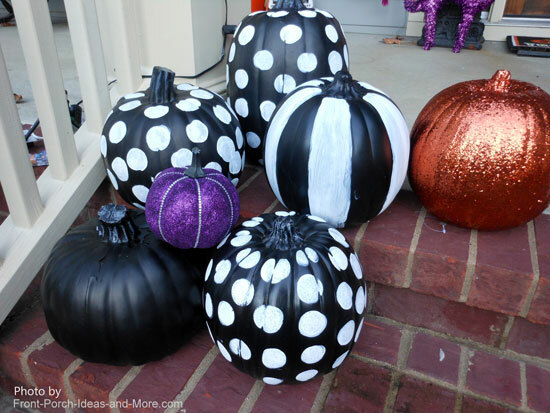 From painting your pumpkins to drilling holes in them, you can make them fun (like Deb's photo below), chic and personalized with just a few easy steps. Oops! 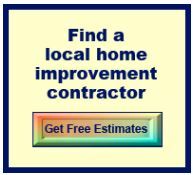 The handyman's you-know-what is showing. 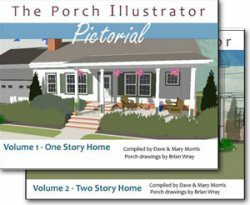 We appreciate Deb sharing her front porch with us - and what a good sense of humor, too. Deb tells us, "There have been a couple of years where we weren't going to put "Mr. Full Moon" out and we had neighbors, even the UPS man, stop by and offer to help us put him up! He's a big hit with the kids on Halloween!" What a novel pumpkin decorating idea. Thank you, Deb. Who knew that black and white pumpkins could be so cute? These are painted black and decorated with white paint. They look fabulous with purple and gold next to them. We think this is such a cute idea! 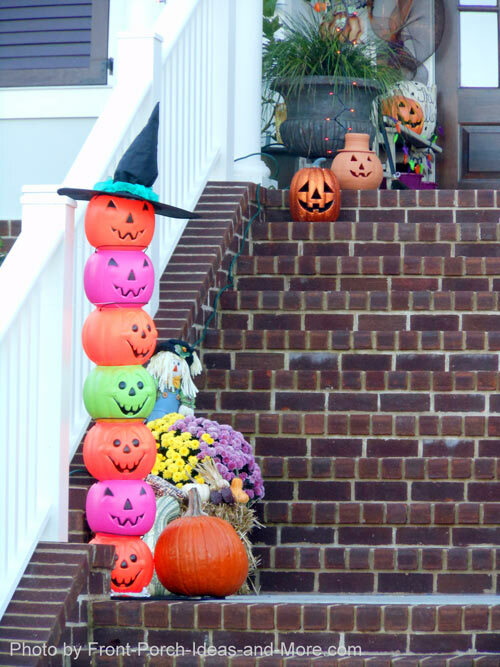 Make a wildly colorful pumpkin topiary with various colored plastic pumpkins. Doesn't it give a fresh spin to Halloween colors? Yes, pink and orange do work together. Top with a cute witch's hat. Clean out your pumpkin. 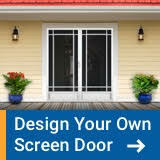 Then drill holes in it. Make the holes large enough for light to shine through. Create a pattern or just make the holes randomly. 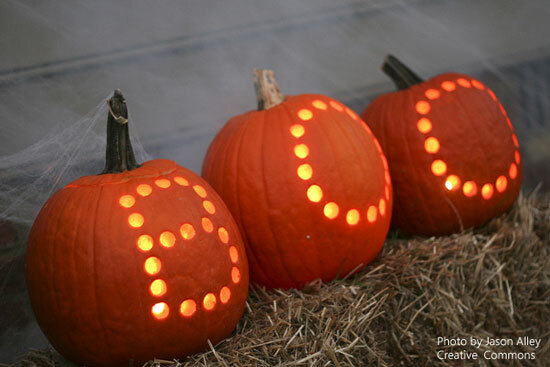 Hope you enjoyed our pumpkin decorating ideas. 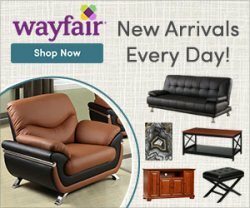 See more below. 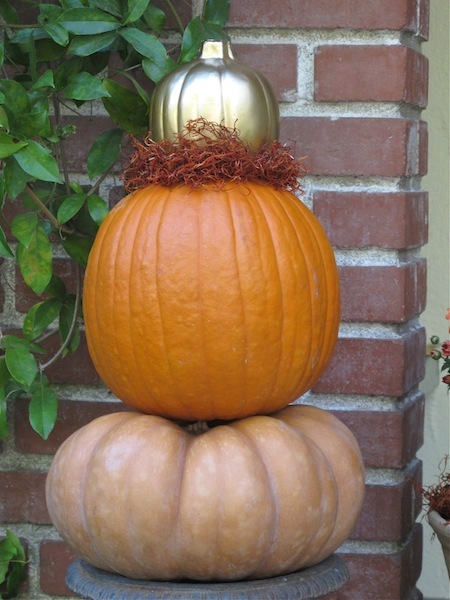 Use unusual items to make cute pumpkin decorations. 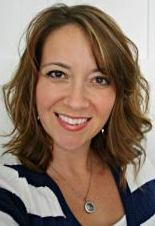 We are really glad we discovered Sarah's blog, Thrifty Decor Chick. 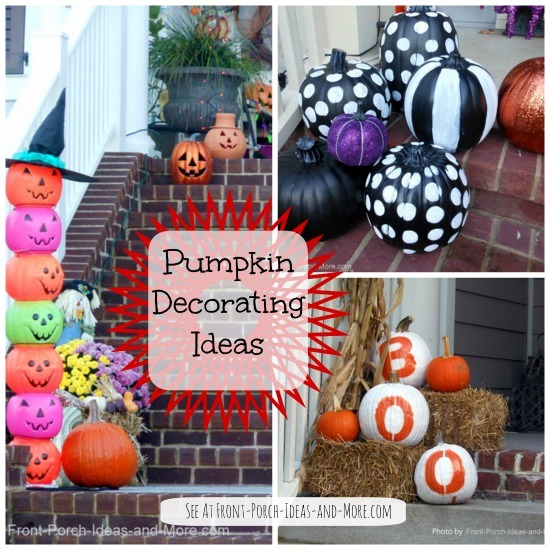 We appreciate her autumn and pumpkin decorating ideas so much! 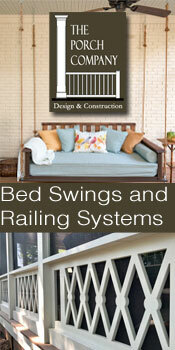 Please stop by her blog to see even more fun and creative ideas!